Whatever your needs, we are here to help. If you have any questions about our packages or activities, please do not hesitate to contact us. 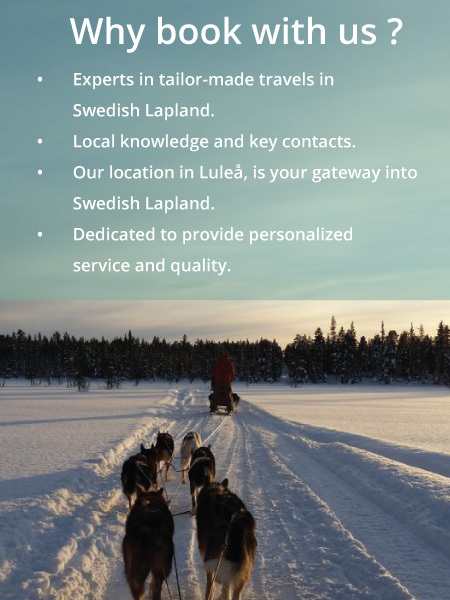 Contact Luleå Travel for more information, custom made travel packages and activities.